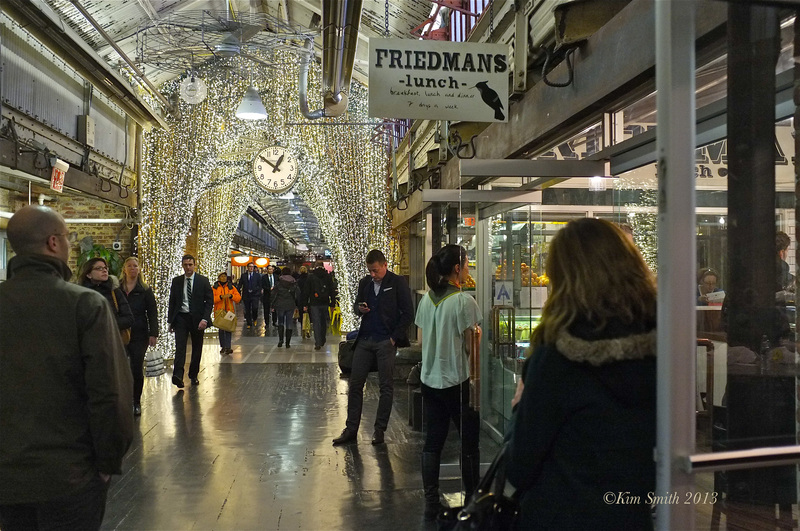 Liv and I had lots of fun shopping the flea market and shops at Chelsea Market the afternoon that I left. 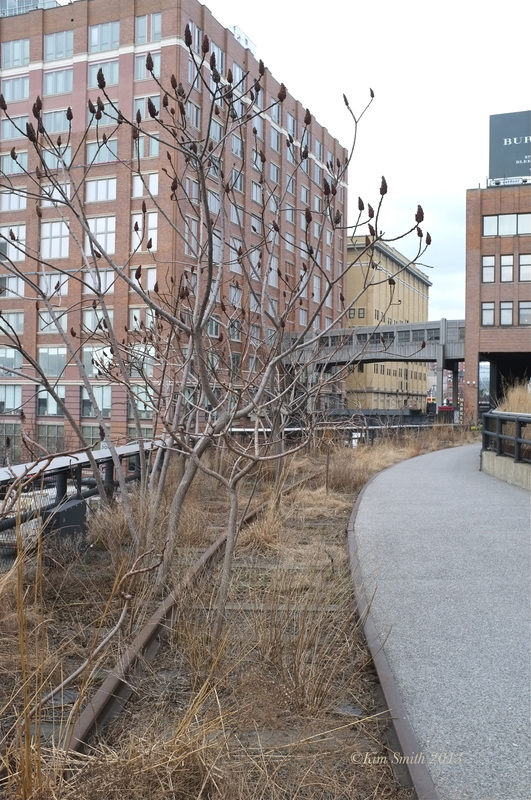 Adjacent to the market is an entrance to the High Line. Don’t you love the chaise idea? They are really comfy and relaxing. 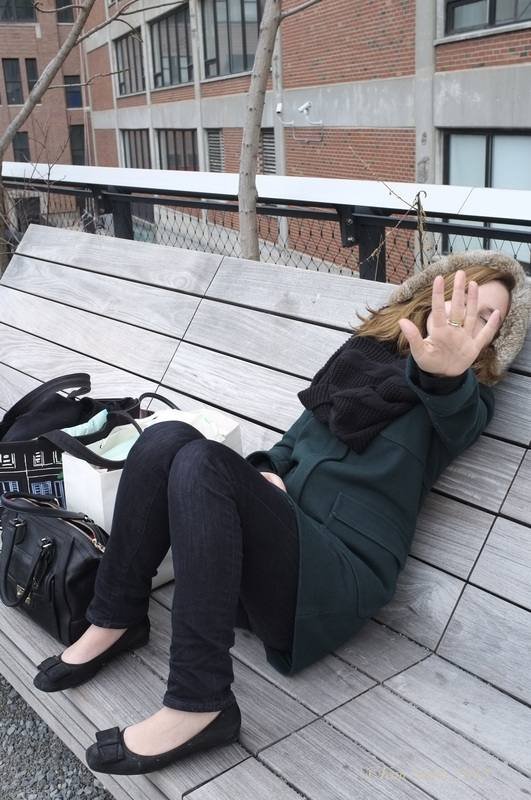 The architects of the High Line intentionally left little patches somewhat wild to show what the elevated rail looked like after years of disuse. The rail had reverted to a a native wildflower garden, which then became the inspiration for much of the park’s plantings! 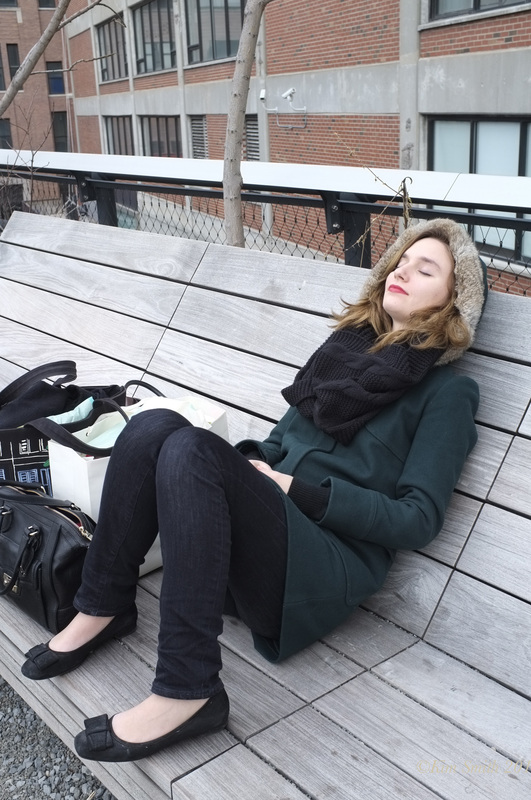 There is nothing like spending time with your daughter and I am so looking forward to our next visit. I hope it’s not too long a wait! 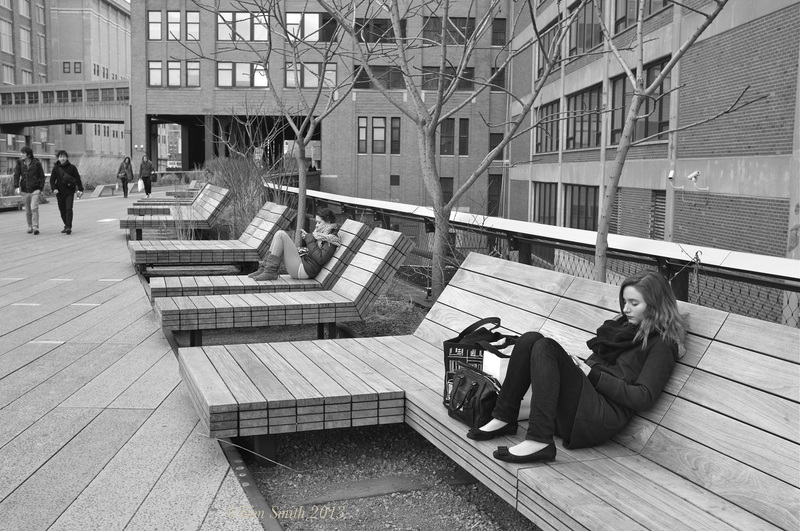 This entry was posted in Brooklyn, Family, Fujifilm x100, Home and Garden, Liv Hauck and tagged Brooklyn, Chelsea, High Line New York City, Liv Hauck on March 8, 2013 by Kim Smith.